Subluxations (that is, slight misalignments of the bones of the spine) are caused by an external force causing the bone to misalign and begin to interfere with the nervous system of the body. Whether the external force is caused by a physical trauma, poor posture, occupational stress or merely the stresses of 21st century living is not the issue. The external force is obviously not hereditary. A child may also have a similar spinal structure as his or her parent. 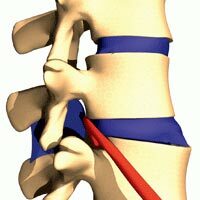 This similar spinal structure may cause the spine of a child to develop similar weaknesses as the parent which would cause the child to have the same subluxations as the parent. There are, of course, many other factors that come into play to cause the child’s vertebrae to subluxate similar to the parent. However, the tendency exists. Another interesting point to consider is that so-called “inherited diseases” may be related to this concept. It is entirely theoretical but if the same vertebrae in parent and child are subluxated and they just happen to interfere with nerves going to the same areas of their bodies (all other factors being equal, that is, diet, environment, and other hereditary factors), it logically follows that the child could develop the same disease as the parent. We could go on to theorise that, if we can change or improve as many factors as possible, we may give the child a greater chance of avoiding the disease that has already, or will in the future, befall the parent. All of this is theory and really not an area of concern for the chiropractor. The chiropractor’s objective is to make sure that everyone, regardless of their age or hereditary factors, is as free of subluxations as possible for their entire life. That is the very important reason that children should be under regular chiropractic care.